Ideal for signage presentation and commercial display. * Lightweight and portable it folds to a compact 43" closed size for ease of transport and storage. 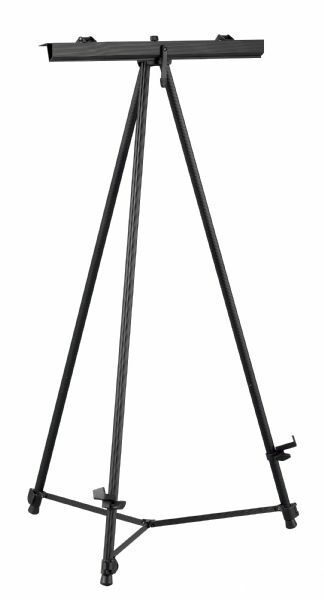 * Durable aluminum construction features 3/4" diameter 2-stage telescoping legs with non-skid rubber feet and quick-release leg locks. * Height is 78" when fully extended and 42" in its lowest position. 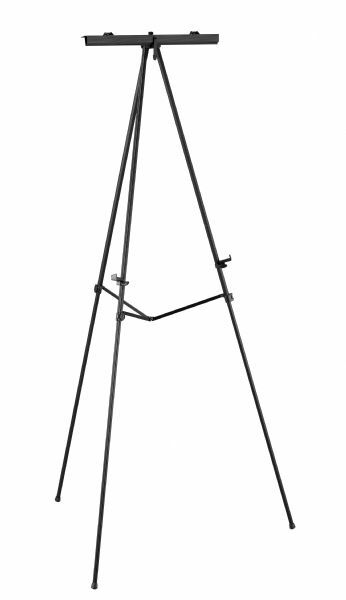 * Features include a 24" long spring-loaded top clamp to securely hold signs posters and flipcharts up to 3/4" thick a central crossbracing for added strength and rigidity and height adjustable lower support brackets. 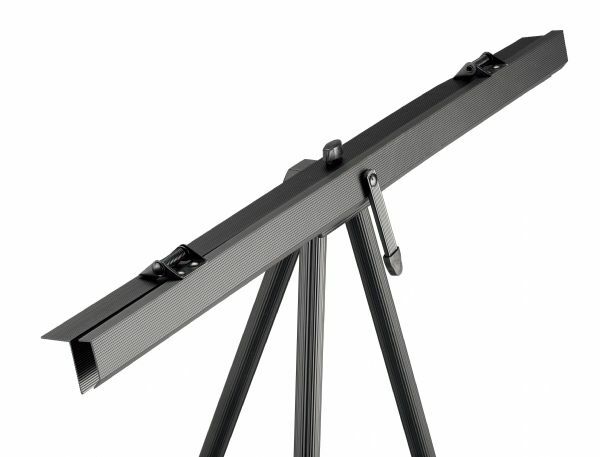 * Materials up to 38" high can fit between the top clamp and lower support brackets. 44" x 4.2" x 3.6"